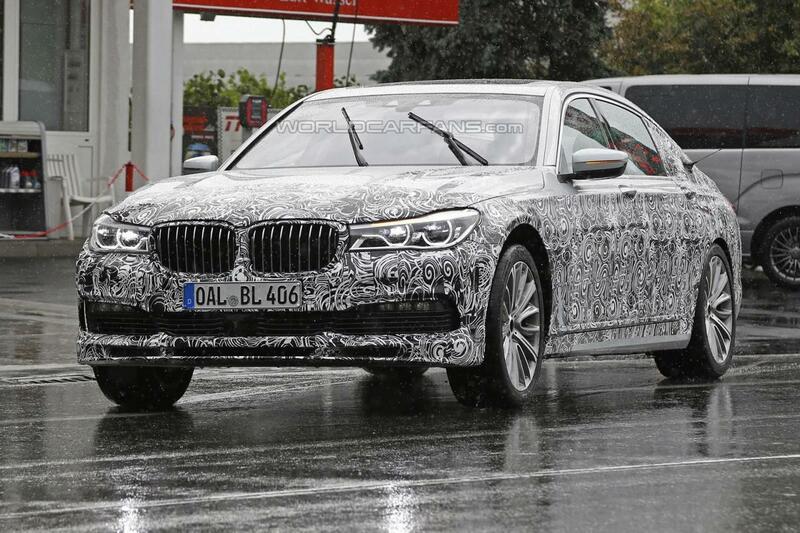 The brand new Alpina B7 has been recently caught on camera. The superb vehicle was spotted while testing on a rainy day. Most likely Alpina will be presented in September at the Frankfurt Motor Show. The images of it came to confirm what we already suspected: that it will the type of car one would be proud to own. As far as changes regarding the Alpina B7 go they can be decribed as subtle. List includes some aerodynamic tweaks and signature wheels. 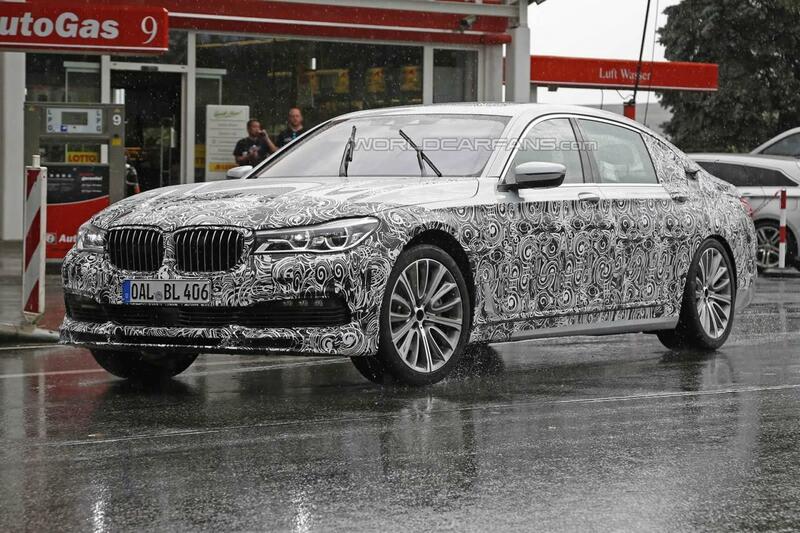 Magic promises to be present on the interior of the car too as the new Alpina B7 will come with several upgrades. The superb Alpina B7 will run on a the V8 twin-turbo 4.4-liter engine that will develop more than the 600 PS (441 kW) and 800 Nm (590 lb-ft). Basically this means the super car will take the 0-62 mph (0-100 km/h) sprint in a little over 4 seconds. Also it might be good to mention that the new Alpina B7 will be more powerful than the outgoing B7, a car that is rated at 547 PS (403 kW) and 728 Nm (538 lb-ft). Though speed is not known yet an increase from the current 312 km/h (194 mph) is expected. 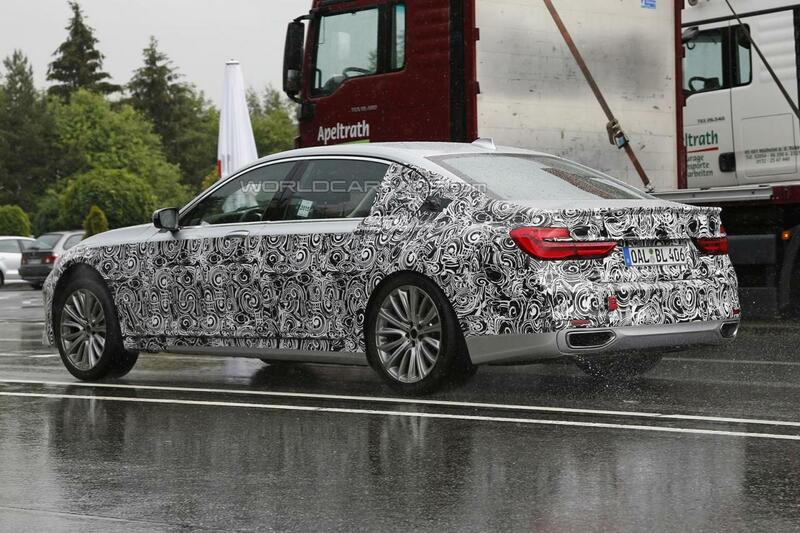 This entry was posted in Other makes, Spy Photos and tagged Alpina, Alpina B7, B7, spied. Bookmark the permalink.